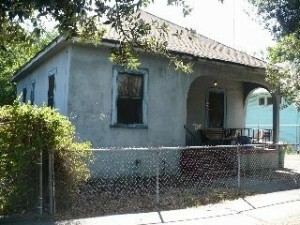 Everyone has their own reasons and/or motivations for wanting or needing to sell a house in Stockton. If you are considering selling your Stockton house, it’s time to make a list and outline the things that you expect to happen and according to what time frames. It’s important to have a plan. Today’s Stockton Real Estate Market is changing rapidly and the environment to sell may be at its best for your specific purposes. I would advise any homeowner needing to sell their house to do your research. There are vast resources available at your fingertips and most of the research can be done anonymously from the comfort of your smart phone, tablet or computer. Then pick up the phone and start making contact with people that can help you achieve your goals. Interview multiple real estate agents, have them create a marketing plan and comparative market analysis and make them earn your business. 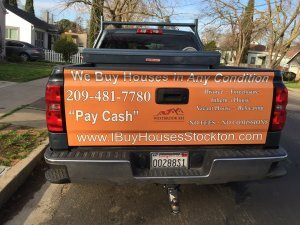 Interview Cash Home Buyers and Real Estate Investors in Stockton and have them make offers on your house before it is listed. Call your local title Company and have them also run an independent Comparative Market Analysis so you can attain the best data from three to 6 sources to know how to price your house. These are all free! All of these resources will be able to give you the insight into the local real estate market and how that will affect the sale of your house. 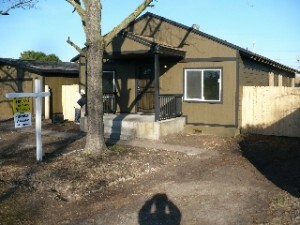 The question is no longer “How Can I sell My House on My Own” it’s now, where do I find the resources to do it. Remember that there all kinds of reasons people need to sell their houses and yours may also have some unique circumstances. Keep in mind that one size does not fit all in real estate, as your house is different than any other with issues that only you are aware of. 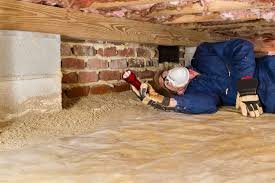 If your house is not in market ready condition, lacks curb appeal, has some minor or major defects and deferred maintenance issues and needs work, you still have options and can still sell your house and get top dollar in its As-is current condition and often much faster and inexpensively than if you enlist the help of a real estate agent. 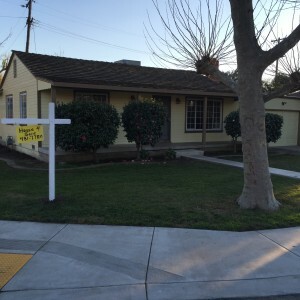 Home Inspections in Stockton are ordered by 95% of all Home Buyers. They are detailed reports that tend to nit-pick a house. Be honest about those issues and the goals that you have in wanting sell your house. Is the cash really going to become available to finally fix it and if it does will you ever recoup the investment when it comes time to sell? Be realistic about what those options are. Create your strategy based on the limitations that you have and move forward knowing that there are industry professionals that can help you right now. Keep in mind that over 90% of the buyers in today’s real estate market want to purchase a home that is in move in ready condition. They don’t want to buy someone else’s problems including minor flaws that they perceive to be a barrier. So if your home is not fixed, updated and properly prepared for this type of buyer you need to make adjustments in your expectations of sales time frames and of course the sales price. That adjustment is not a discount; it is a reflection of the homes true market value in its current As-is Condition. Life’s circumstances also have a way of dictating how we will deal with a house that you need to sell. Are you in a hurry? 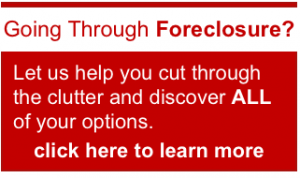 Are you behind in payments or in foreclosure? Are you going through a divorce? Did you inherit a house? 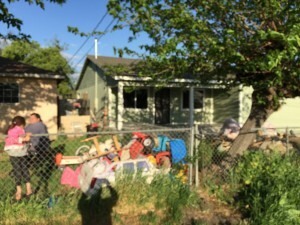 Is the house in good condition? 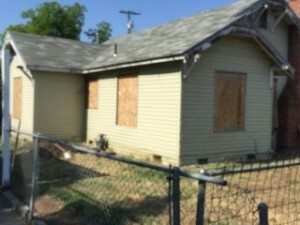 Is the house in poor condition? Are there Code Violations? Do you have the time, money and energy to make the necessary repairs and update it or are you going to sell it as is? Do you want to sell the house yourself? 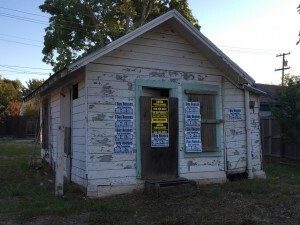 Do you want to hire a Real Estate Agent and put a sign in the yard or do you just want to sell it fast for Cash to a Cash Home Buyer/Real Estate Investor? Each of your answers either expands or limits the possibilities available to you. As you probably know, selling a house conventionally (using an agent) can take a while. Even selling the best house in California can take 3 to 6 months (or longer in some cases). This article will help you to determine what strategy will be right for you. Every house is different and every situation is unique, so take a minute to find out what options are right for you. They discuss price and put together a CMA (comparative market analysis) to show you where your house fits in and what it “could sell for”. You sign a listing agreement (usually for 6 months), which gives them the right to exclusively sell your house. If you already have someone interested in the property make sure to let the agent know if that someone buys the property they do not have the right to collect commission. This is called an exclusionary clause. After you clean the house, make repairs and update the house, the agent will typically list the property on the MLS and market it. He or she will typically have potential buyers walk thru the house, hold open houses, etc. Some agents may want to stage the house. You’re paying for their help so listen to them. If a potential buyer decides to make an offer, the agent will take prepare the contracts for signature. At closing, the agent will collect their commission approximately 6% and split it with their broker and the buyer’s agent. Advantages: The final selling price is usually higher than what you would sell it for yourself, but keep in mind you have spent a lot of time and money to get the house ready for such a sale. Good Agents also know the market and all agents have access to the Multiple Listing Service (MLS) to advertise your property. Don’t be fooled though, MLS isn’t as exclusive as it used to be and for a few hundred dollars anyone can get a house listed to avoid paying full commission. If paying the full commission doesn’t bother you, you are NOT in a hurry and your house is in market ready condition this might be the right choice for you.. Disadvantages: Selling with a real Estate Agent has the highest transaction costs, and might take longer. For example, if you’re selling a $200,000 house, after agent fees, escrow costs and buyer concessions you might end up paying close to $20,000 in back end fees. In addition to those fees, you also have Holding Cost until your house sells. Your Holding cost are everything that you pay on a monthly basis to maintain your home. They include your mortgage, property taxes, homeowners insurance, utilities and of course maintenance. Time frames are not guaranteed and keep in mind that just because you accept an offer, in today’s real estate market remember that 1 in 3 offers with financing will fall out of escrow because of financing, appraisals or inspections. The longer it takes the more your Holding Cost are going to be and of course these need to be considered when weighing your options for selling your house. Sometimes the highest price may yield the smallest return when everything else is factored in. Timeline: 3 to 12 months. Solutions: Even if you attempt to sell through a realtor, give them a reasonable amount of time based on your circumstances. 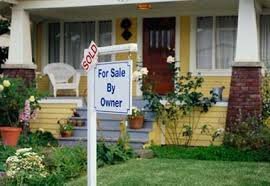 If you need to sell your house fast in California keep reading as Cash home Buyer may be your best option. Interview a few Real Estate Investors/Cash Home Buyers… the We Buy Houses People. Listen to what they say and learn about the all cash side of the market. Then you get to determine the market value of your house without emotion. Finally you can pay for an appraisal which will also validate the values of homes in your area. Just make sure whoever performs the appraisal is local. Make Repairs, update everything and post lots of pictures online. Disclose everything. 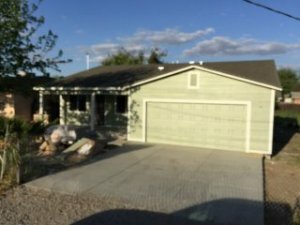 Make a list of all of the updates and repairs, the permits that were applied for and of course all of the known defects and issues with the house. Unless you disclose everything to your buyers you are liable and expose yourself to a future lawsuit. Decide whether or not you are going to pay a commission to buyer’s agents that show and sell your house. Adding this one component can greatly enhance your ability to sell it faster. Remember commissions are negotiable and while the standard is 3% you can negotiate a lower rate. Evaluate the offers and remember that most home buyers are going to rely on financing as a way to purchase your house. Wade through the contingencies and concessions of the buyers and factor them into the financial analysis. Make yourself available to show the house when its convenient for the buyers, gather offers, and negotiate the sale. 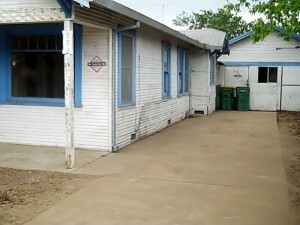 Get ready for the Appraisals and Home Inspections and be ready once again to spend some more money. Submit the paperwork to the Title Company and close the transaction. Selling a house on you own isn’t all that difficult you just need to familiarize yourself with the process of buying and selling real estate. Keep in mind that unless you are willing to give up your nights and weekends for showings and phone calls this can take longer than with an agent. Either way get ready for all kinds of people to parade through your house. (Qualified or not). Selling your house on your own is a great option if you’re in no hurry to sell and don’t mind making lots of repairs and updates because you will save at least 6% in commissions. Advantages: You save on commissions, and sometimes closing costs depending on how you structure your transaction. You have complete control over the process. Disadvantages: If you’re not experienced in marketing or sales, it could take a while to sell your house, even more than with a real estate agent. If you’re not a people person you might find this difficult. Selling to a cash home buyer is probably the least complicated and fastest way to close a real Estate Transaction. Locating, interviewing and finding that cash house buyer should also be simple. Finding one that you trust may take some time but in the long run you will speed up the entire process by 30 to 90 days or more. Many We Buy Houses Companies are experienced and have cash on hand to close many types of real estate transactions. Every reputable cash house buyer should provide references… ask them. Another way to check to make sure they’re reputable is ask for proof of funds statement from their bank. Contact a local Cash Home buyer (like us) and submit your property information. The cash home buyer will go through the same process as a real estate agent and look at comparable sales data, evaluate the condition of the house, determine the repairs and updates that need to be made and make an offer. Remember you can make a counter offer and negotiate the sale directly with the buyer. When the offer is accepted, we will open escrow at a local title / escrow company and close the transaction. There are usually no out of pocket costs when selling to a cash buyer, and the time to sell the house will usually take about 7 to 30 days (depending on when you’d like to close). Remember that Cash House Buyers in Stockton are not retail buyers and will not top of market value for a house that is not in move in ready condition. They will factor in the cost of repairs and updates and compare your house to the rest of the homes that have sold in the area, even those that sold for cash. If you don’t want to make the necessary repairs and updates and wait for an eventual sale this may be the best option for you. Advantages: A cash buyer in Stockton will act quickly, pay market value minus repairs and doesn’t need appraisals, inspections, or bank approvals and in most cases you don’t pay closing cost or commissions. You don’t have any holding costs, no more mortgage payments, insurance, utilities or maintenance cost like you would if you had to wait 3-12 months selling conventionally with a real estate agent..
Timeline: 7 to 30 days depending on when you’d like to close and the condition of the title. 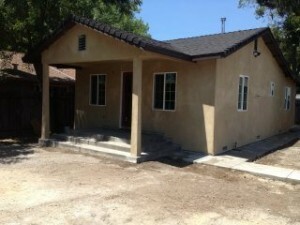 My name is Peter Westbrook and I am cash home buyer in Stockton, CA. 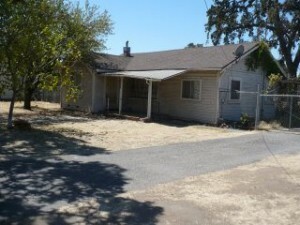 We Buy Houses in Stockton, Sacramento, Modesto and Manteca CA. 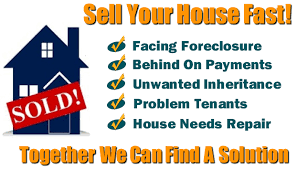 If you’d need to sell your house and would like a cash offer, contact us, or fill out the form by clicking here or call me directly at (209)481-7780.